The Shademaster Honey Locust is a thornless tree with foliage that is very light and airy, providing soft, dappled shade below. 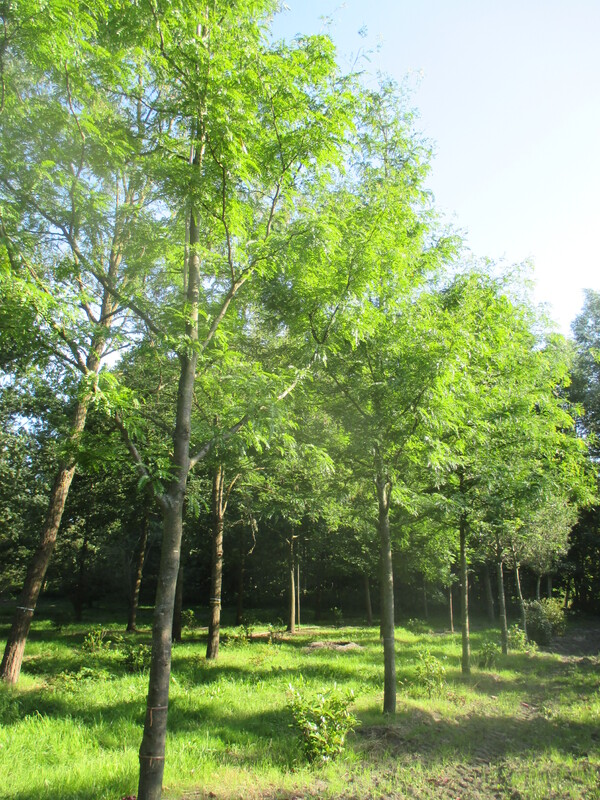 Gleditsia triacanthos Shademaster is one of the last trees to leaf out in springtime and one of the first to lose its leaves in autumn, making it suitable for growing a lawn beneath it. The tiny leaflets turn golden yellow in autumn before dropping and are so small they easily vanish into the grass below, without any raking being necessary.